Does your chain suffer from regular grit and grime build up, tired of spending AGES cleaning your chain when all you want to do is get on the saddle and ride? 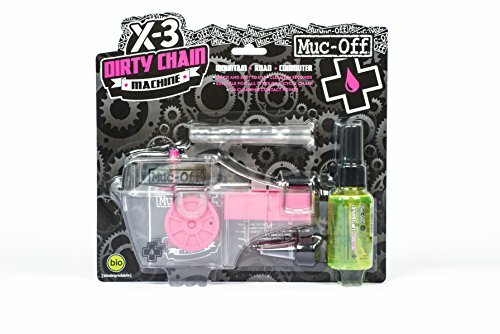 Well Muc-Off have the solution... introducing the new Muc-Off X-3 Dirty Chain Machine! This patent pending ergonomic design boasts a heavy-duty construction and can clean your chain in seconds!. If you have any questions about this product by Muc Off, contact us by completing and submitting the form below. If you are looking for a specif part number, please include it with your message.